The government summoned the U.S. ambassador to complain but stopped short of demands by protesting Islamic groups to expel the envoy. A statement issued after a National Security Committee meeting, which was attended by Pakistan’s prime minister and the powerful army chief of staff, said the U.S. was scapegoating Pakistan for its own failure to bring peace to Afghanistan after 16 years of war. Pakistan and Afghanistan have long accused each other of harboring militants, and have exchanged lists of wanted terrorists they want apprehended and returned. Afghanistan has also provided what it says are the locations of militant camps inside Pakistan. Pakistan denies supporting militants, pointing to its own war against extremist groups battling to overthrow the government. It blames the burgeoning insurgency in Afghanistan on runaway corruption, infighting that has paralyzed the Kabul government and record drug production. Pakistan says the chaos next door has spawned a proliferation of insurgent groups, including an Islamic State affiliate that has attacked it from hideouts in Afghanistan. The National Security Committee statement said Pakistan is among the countries hardest hit by terrorist attacks, having lost thousands of civilians and soldiers to the violence that has convulsed the region since the Sept. 11 attacks. White House press secretary Sarah Huckabee Sanders told reporters Tuesday to expect more details on specific actions against Pakistan over the next day or two. Defense analyst and retired Pakistani Gen. Talat Masood said vilifying Pakistan won’t bring stability to the region and belittles the losses Pakistan has suffered. 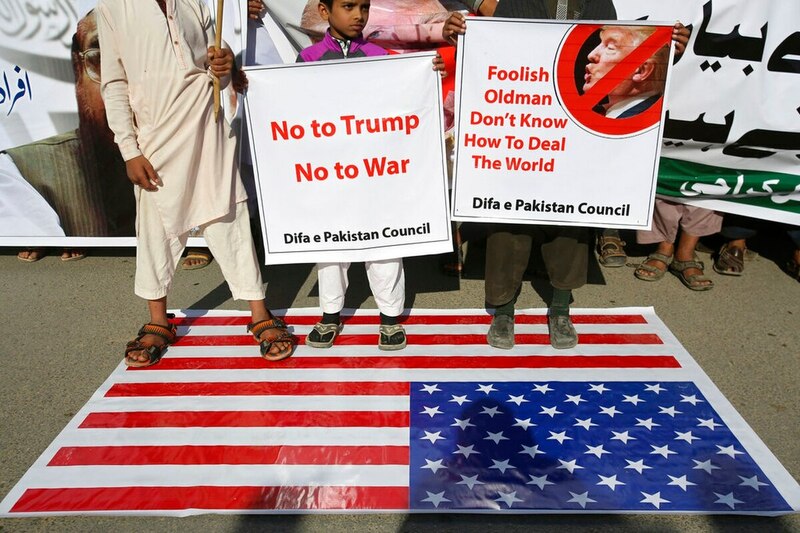 Michael Kugelman, deputy director of the Wilson Center’s South Asia program, said withholding aid to Pakistan is unlikely to deter Pakistani support for insurgents it sees as necessary to protect its security interests. Pakistan has long supported Islamic militants battling India in the disputed Kashmir region, and has close ties to the Afghan Taliban. 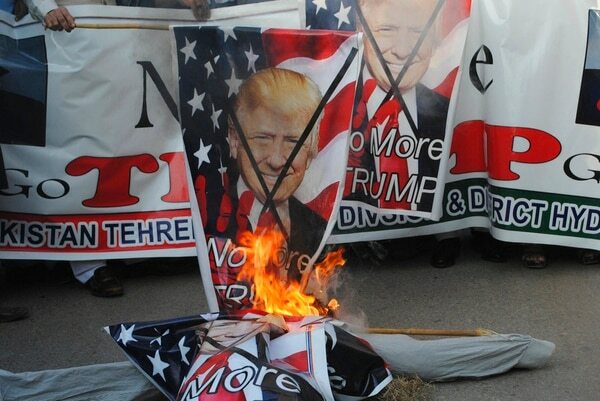 The contradictions at the heart of U.S.-Pakistani relations were on display Tuesday, when the Jamaat-ud-Dawa movement held protests in Lahore calling for the expulsion of the U.S. ambassador. The group is headed by Hafiz Saeed, who also founded the militant group blamed for the 2008 Mumbai attacks. The State Department has offered a $10 million reward for Saeed, who is wanted on terrorism charges, but he lives openly in Pakistan and frequently appears at public rallies. Pakistan recently placed Saeed under house arrest for 11 months, but a court released him, citing lack of evidence. Associated Press writers Zarar Khan in Islamabad and Jill Colvin in Washington contributed to this report.